Home Citizen Journalism Why students don’t go to school in Khadizai during rain? Why students don’t go to school in Khadizai during rain? 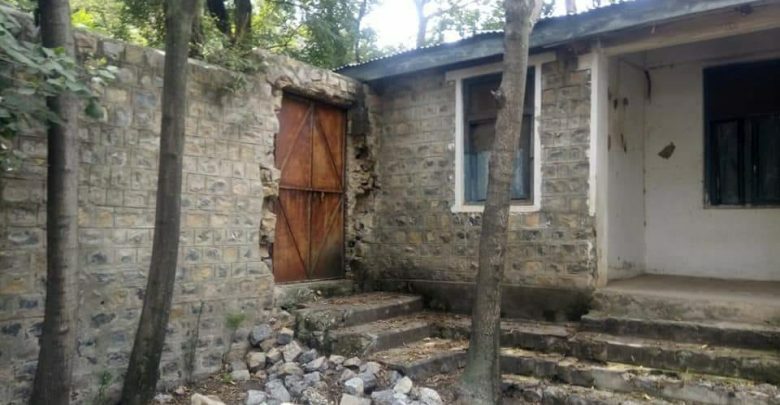 KALAYA: The Government Primary School Khadizai in Orakzai tribal district, which was destroyed during militancy in the area, is still in the same condition despite restoration of peace and no steps have been taken for its reconstruction. Ahmed, a local resident, told TNN that there is only one primary school in Khadizai area which has a population of 5,000 which was destroyed during militancy and military operations. He said although peace has been restored in the area, but their children had to go to Ghaljo headquarters school, which is situated 10 kilometres away. Ahmed said the children cover long distance to reach their school and also cross a stream in their way. However, he said, the students cannot cross the stream in the event of rain, and stay at home. In that case, the parents, fearing the possibility of any mishap, also prefer not to send their children to school. The area resident said Education Department was contacted several times to resolve this issue and despite assurances, nothing has been done practically to restore the school building. The Education Department officials are of the view that the said school’s reconstruction has been included in the list sent to the Fata Secretariat in June this year. However, they said, Fata Secretariat hasn’t provided funds for this purpose due to which the reconstruction of the said school and some other damaged schools is facing delays.